When we recently took a look at the best watercolor papers for artists, we briefly touched on the different types of production methods used when making the paper. 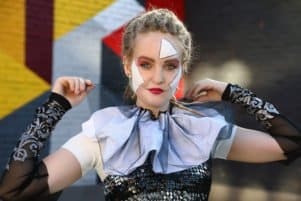 This article is designed to be as a primer to these production methods. 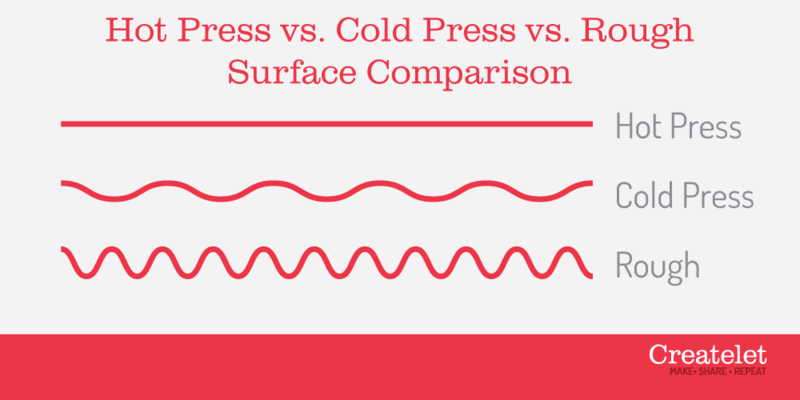 What Does It Really Mean To Be Hot Pressed, Cold Pressed, or Rough?! 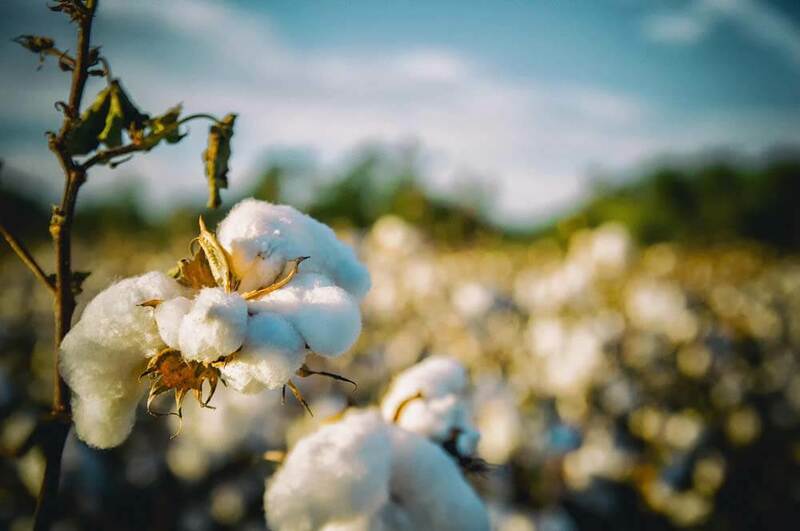 Cotton Fibers vs. Wood Pulp – Is It Worth The Extra Cost? 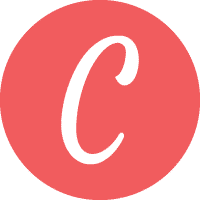 Which Watercolor Paper Type Will Be Best For You? …and this makes perfect sense! …but you really need to forget all of that when it comes to watercolors. Watercolorists far and wide will always rank the watercolor paper quality above all else. Quality watercolor paper will not only be able to absorb ample amount of water (especially when performing wet on wet paintings), but will also give you plenty of texture to work with. Not only will this produce spectacular results, but it will also give you plenty of control when laying down the paint. Now a quick word of note: As common in the art field, while you can invest in costly supplies, it’s the talent on the end of the brush (i.e. you) that really matters. Therefore, it’s important to practice regularly and continuously try to expand and strengthen your skill. While you will likely be able to infer from the name, especially with hot and cold pressed, these are indicators of their production method. Hot pressed papers are exactly that – hot pressed. When the cotton fibers (wood pulp for lower quality papers) are formed into a sheet, they will go through a heated roller and get smoothed out in order to make a sheet of paper. 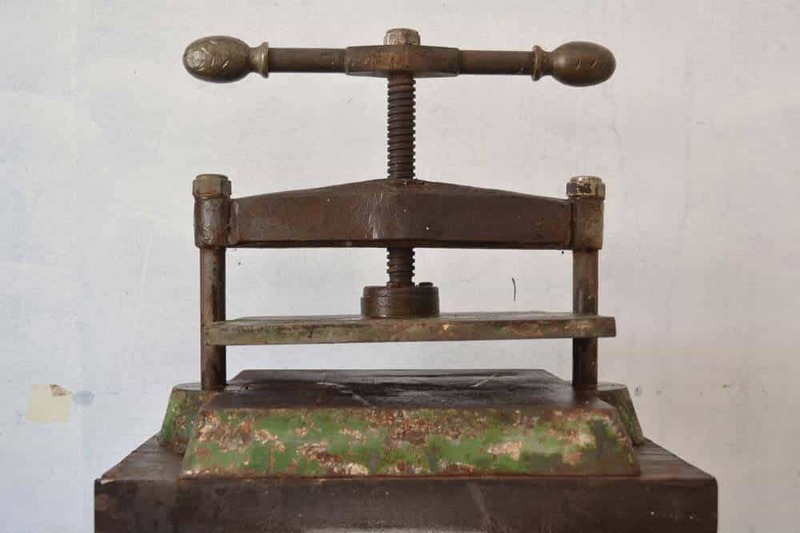 Cold press often will be pressed with metal plates to remove excess water and then left to air dry without the induction of heat to the process. Lastly, rough watercolor paper will be made from the raw fibers, formed into the sheet of paper and then left to air dry. This will exhibit an extraordinary rough and porous surface which we will cover in just a minute. With rough paper, sheets are typically hand or machine torn in order to attain a deckled edge. When you get a piece of one of these papers in your hand, you will instantly realize just how drastically different these watercolor papers truly are. 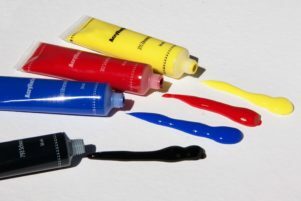 When it comes to watercolors, each one of the above surfaces will be more well suited than others depending on your painting style and techniques. For hot pressed watercolor papers, their extremely smooth surface (almost akin to drawing paper), will be better for ink and watercolor combinations along with light sketch work. 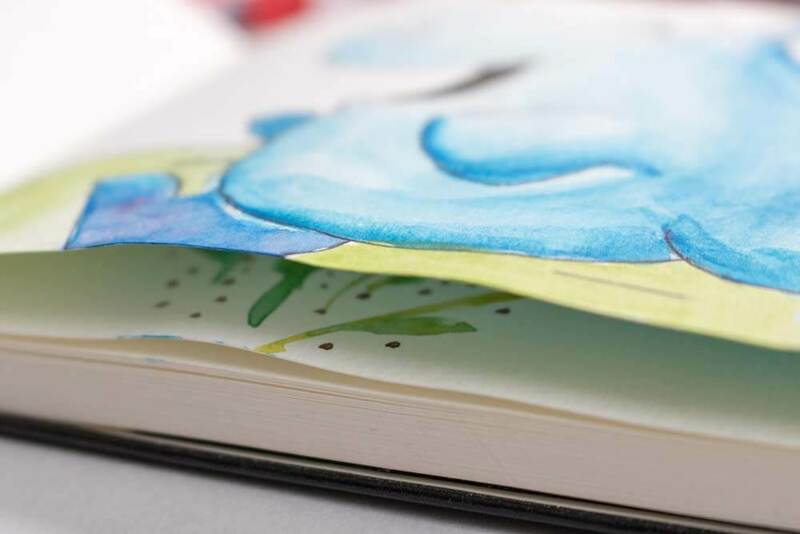 While still carrying some absorbency properties, when using watercolors on hot pressed paper, you will need to make sure that you don’t apply more than a couple of layers of water. Over application of water will result in warping of the paper as it dries. 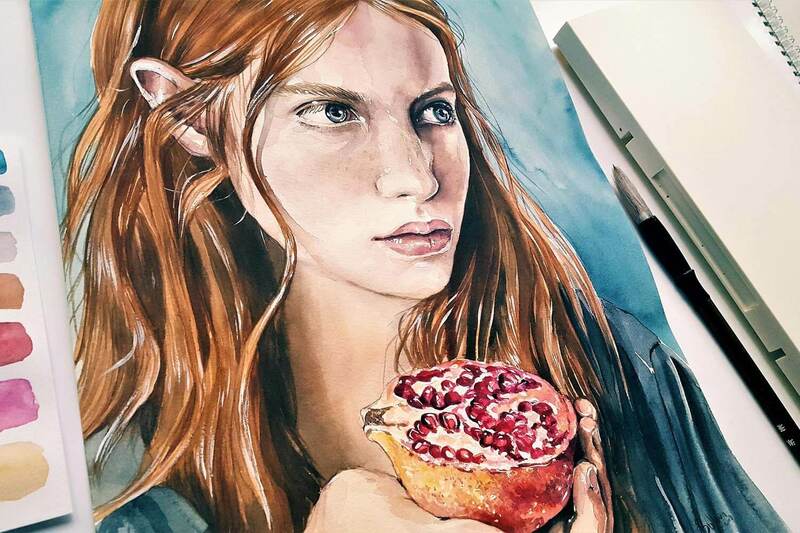 Hot press watercolor papers are also great for watercolorists who may use watercolor pencils and do just a little bit of blending or water application with a Tombow Colorless Blender or even a Pentel Water Brush. Cold press paper is likely what 90% of the watercolorists are going to be painting on. 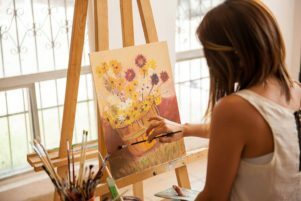 Borrowing properties of both the hot press and rough watercolor papers, a cold press paper will allow for high absorbency properties (especially found in paper weights greater than 300 gsm), while still having a relatively smooth surface that makes it compatible for light ink or watercolor pencil drawings. The texture found in cold pressed watercolor paper will have ample tooth making it easy for a springy Kolinsky sable brush or even a softer squirrel or synthetic brush to latch on to. Lastly, with the rough watercolor papers, these are great for artists who really want to employ the wet on wet technique. Their incredible absorbency can deliver some amazing washes and effects for your final piece. If you never painted on this type of paper, we would recommend trying it at least once. While semi-hard to sketch on with a fine tip ink pen (i.e. Micron’s), you will be doing all your work on this surface strictly with brushes. What’s really nice with the rough paper texture though, especially those of a heavier weight, won’t require pre-stretching of the paper prior to painting (which can be a real time saver). Long staple cotton fibers will always out perform a wood pulp based paper. You will see less warping, less bleeding of the pigment, and lower chance of tearing of the paper. Therefore, the next time you go to buy a watercolor paper, always look on the front for 100% Cotton. If a watercolor paper company isn’t advertising this feature or you have to look hard for this detail, chances are that the paper isn’t 100% cotton and should be avoided. 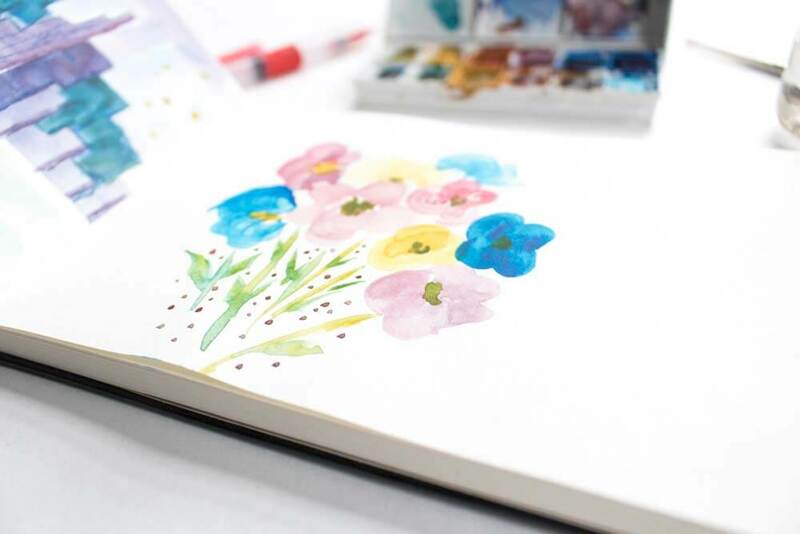 While the hot, cold, and rough watercolor papers all exhibit different textures due to the manufacturing process, the paper weight itself is equally important. Generally, the standard that most watercolorists will go by is a paper weight of at least 300 gsm (140 lb). While a heavier weight not only increases the absorbency of the paper, but it will also help to reduce the amount of warping when the piece is dried (especially if several layers of a wash have been applied). You can typically get away with using simple Bulldog Clips around the edges of the paper without having to worry about properly stretching it with water and tape. These are all options that you might want to test at least once as you gain experience as a painter. As we eluded to earlier, while paper selection is important, it’s the talent behind the brush that really matters. If you are starting to explore the world of watercolors, then we would suggest that you go with 300 gsm cold press watercolor papers. They simply exhibit all the best qualities in the papers of this category as play with this medium. As you become more confident in the medium, you will want to naturally explore both hot and rough papers to see the results that you attain.